Cisco Packet Tracer 7.1 is now available in our website. You can download free from direct download link and can install it easily. If you are a student studying CCNA and CCNP then Cisco Packet Tracer is just for you for implementation of networking topology. Cisco team develop packet tracer for the CCNA and CCNP students for practicing their networking, routing and switching work. It gives you a visualization environment of what you are doing while networking. 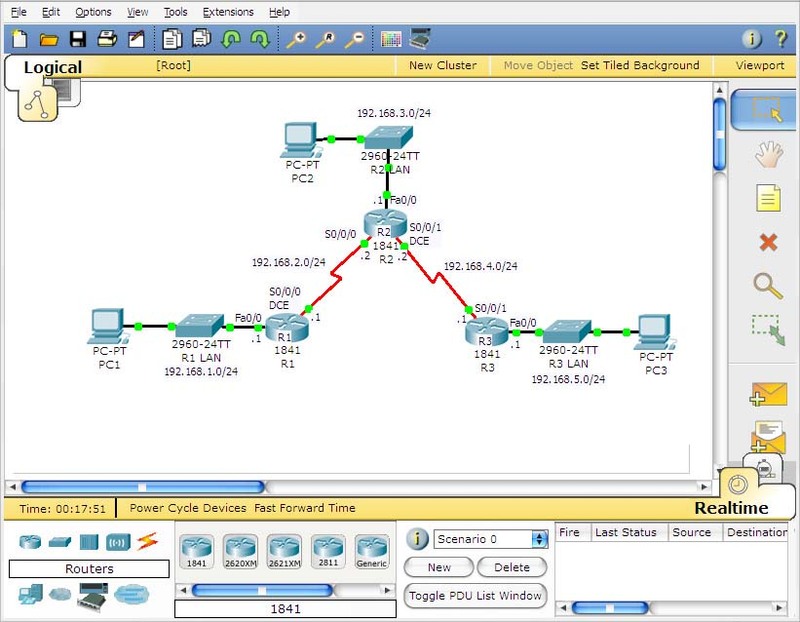 Easily design you network in packet tracer software and see the results. You can also see the result of your configuration skills on Desktop or Mobile Devices. Basically Cisco Packet Tracer is a simulation tool. It is use to simulate networking and routing problems. If you need to download Packet Tracer older version, visit our another article Packet Tracer 6.1.1 Download. You can also download Packet Tracer from Cisco NetAcad Official website. Allows more scope of flexibility for rack and stack problems. You can quickly add tables and rack with Packet Tracer 7.1. Installing and uninstalling programming tabs is quick and easy. You can import and export projects as the .pkp format. Packet Tracer support MQTT Protocol. Packet Tracer 7.1 are bugfixes. Download packet tracer from upper download link. You can log in as a guest. After login you will be redirected to the main window. Thanks for downloading. If you have any question or queries regarding where to download this tool. Then feel free to drop a comment in the comment section below. We will be happy to assist you as soon as possible. Previous articleNSA Hacked: How does it affect your IT Security?